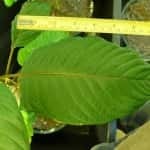 When it comes to buying kratom caps, it’s important to remember that personal taste, tolerances, and body chemistry are factors in determining favorites. However there are countless user reports available to help us get a baseline understanding of what to expect from all of the major strains. Over the past several decades, kratom has steadily gained in popularity as the premiere alternative herbal remedy for a broad range of wellness applications. As a result, there is a wealth of documentation as to the effects and potency of well-used products. Just as individual tastes are unique, not all kratom is the same. Let’s take a look user-compiled ratings for the best kratom caps you can buy. The global kratom community is growing by leaps and bounds everyday. As we continue to learn more about our favorite herbal medicinal plant, we share our knowledge with one another in the hopes of developing an incredible database of real information. So, without further ado, here are users’ impressions when rating the best kratom capsules available. See if you agree with their opinions. Maeng Da: This is well known as the most potent of all Thai kratom strains. The wildly strong effects are not for novices – they come on strong and fast. Powerful pain relief. Red Bali: This strain is famously the most relaxing of all kratom varieties. It delivers a calm, natural state of euphoria that lasts for hours. Premium Indo: This very sophisticated strain is best known for relieving social anxiety. Carrying capsules with you is a great way to be prepared for any social situations that arise. Green Malay: The comprehensive range of benefits of this green variety offer the best sampling of all kratom benefits. Tends more towards stimulating energy in smaller doses. Green Borneo: This great all-around powerful strain offers an excellent balance of relaxation, energy, and euphoria. White Borneo: One of the most stimulating varieties available, this white leaf delivers intense concentration and all-day natural energy. 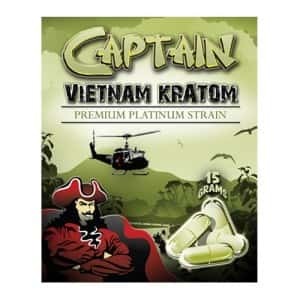 Vietnam: This family of kratom is known to deliver milder effects and is perfect for newer users. Ultra Enhanced Indo (UEI): This hyper-concentrated powder includes super potent extract for a strong, clean, extremely powerful effect. Are you looking for a relaxing experience or an energizing experience? 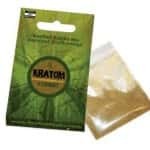 Do you have any known tolerances to particular strains of kratom? Do you need your product to provide pain relief? Do you desire a mood-lifter, to help bring on states of euphoria? Will you take your kratom with food or do you prefer the convenience of capsules? There are no fixed answers to these questions. As our taste and experience with a range of strains grows, you’ll find new ways to enjoy and enhance the experience of taking kratom. 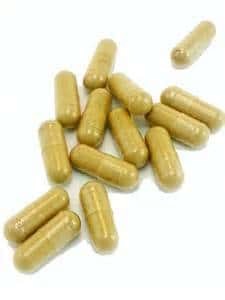 Taking kratom in capsule form is a great alternative for anyone who leads an active lifestyle and doesn’t necessarily have the time to measure dosages or prepare kratom-infused food items. Capsules are flavorless, pre-measured in .5 gram amounts, and can be cleanly and conveniently carried anywhere and consumed on demand. The format also offers some incredible deals. 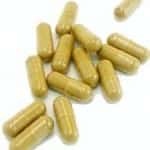 The benefit of buying capsules is that they often can be found offered at bulk prices. Trusted online vendors like Arena Ethnobotanicals and Bouncing Bear Botanicals typically offer deep discounts when you purchase more than one bottle of capsules at a time. Dose for dose, the prices typically rival or beat the price of plain powders. So, there’s absolutely no reason not to add kratom pills to your routine. 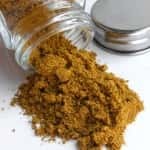 Searching for the best kratom caps is not easy. With so many varieties to choose from, and so many different kinds of health benefits, each product usually has advantages which make it a worthwhile purchase. There is no “one size fits all” when it comes to herbal remedies – mother nature usually doesn’t work that way. Just about everything the Earth produces can have a positive value in our lives. So, be curious, experiment with different strains, and enjoy the best that each has to offer.